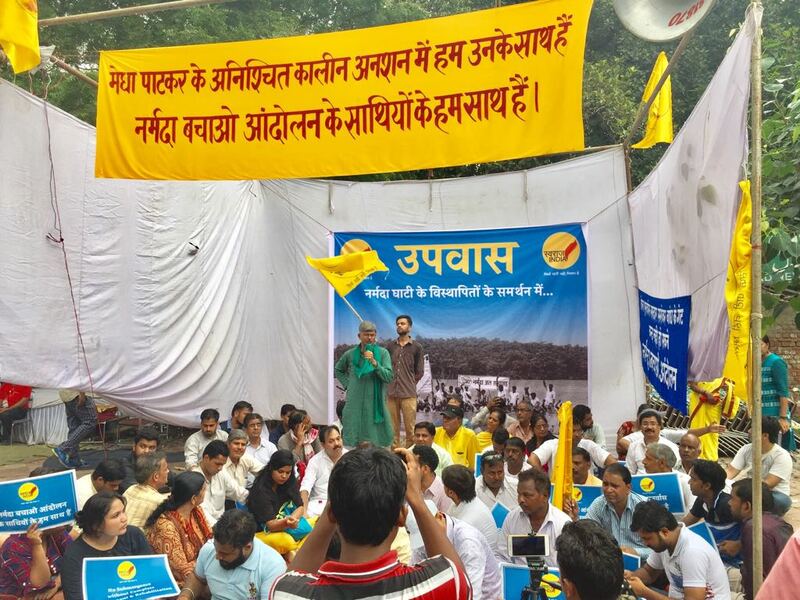 In a major relief to the anti-dam Narmada Bachao Andolan (NBA) led by well-known social activist Medha Patkar, the Chief Justice of India will be hearing Sardar Sarovar project-related cases on August 8, 2017, especially the NBA plea that there cannot be any forcible displacement without full compliance with all the orders by the Supreme Court. The decision follows the Supreme Court on Monday hearing what the NBA considers as "serious concerns" over massive displacement due to the decision to take waters in the Sardar Sarovar dam to the full reservoir level, 138.64 meters, by closing the dam's 30-odd gates. A special leave petition (SLP) against the interim order of the High Court of Madhya Pradesh -- where the NBA claims 40,000 project affected families (PAFs) are yet to be rehabilitated -- contented that the the resettlement and rehabilitation (R&R) sites in the state do not have all basic amenities and hence it is impossible for thousands of families to shift to such sites. The SLP said, the state government has still not complied with the Supreme Court order dated February 8, 2017, and R&R packages for farmers have not been implemented in at least 50% of cases. It added, instead of R&R amenities, temporary resettlements of tin sheds in thousands have been planned. Besides, the PAFs' cultural and religious needs are not being taken care of in the proposed sites. The writ petition under Article 32 (right to life) was filed by eminent persons, including former Justice Panachand Jain, Kuldip Nayar, Aruna Roy, Hanan Mollah, Manoranjan Mohanti, Soumya Dutta and Annie Raja, with the prayer to save all the displaced farmers and landless. The petitions was listed before Justice R Nariman and Justice S Kaul, but the bench forwarded it to the Chief Justice, whose order of February 8, 2017 is under reference. The Chief Justice heard senior advocates Sanjay Parikh and Prashant Bhushan, assisted by advocate Clifton Rozario immediately. He was told about "serious crisis" and "huge scale" of displacement and impact on up to 40,000 families as and when floods take place. The Chief Justice agreed to hear the case, in spite of a writ petition pending before the High Court, and fixed the date of August 8, 2017. In a communique, the NBA said, it welcomes the openness shown by the Apex Court by taking cognizance of the serious issues and situation that would lead to violation of right to life and devastation of age-old communities and their resources. NBA further said, the Government of India, and the governments of Madhya Pradesh and Maharashtra, must "immediately decide against any violence and brutal forcible eviction of a few lakh people. There should be no filling of reservoir with water to drain the life and livelihood." 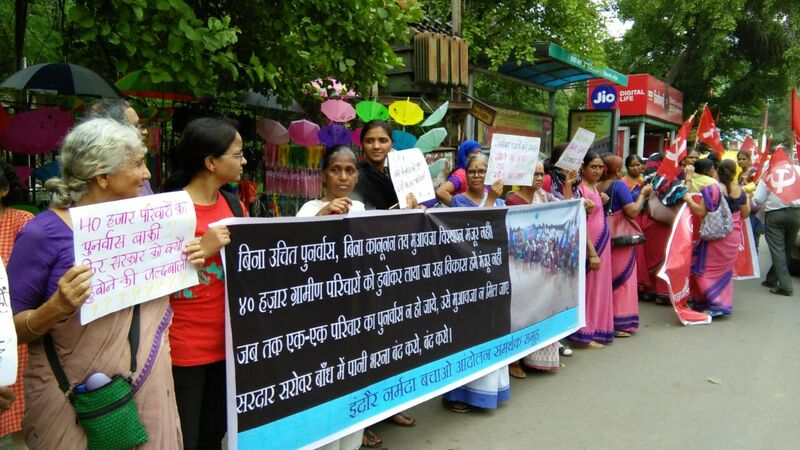 Meanwhile, the hunger strike by Patkar and others activists. Those on hunger strike include Gayatri Bahen, Kadmaal, Vimla Bhai, Khaparkheda, Dharmendra Kanhera, Khaparkheda, Bhagwati Bahen, Nisarpur, Manjula Bai, Nisarpur, Pushpa Bai, Nisarpur, Rameshwar Awalda, Bau, Awalda, Rukmani bai, Nisarpur, Chota Badda, Sevanti Bai, Chota Barda, all c.aiming to be representatives of various sections and categories of the displaced Sardar Sarovar affected families.